It’s a full house for this Pick of the Week, as Simon, Sheldon, Dana and Rob guide you through this week’s best comic books. Sheldon has the pick this time over, and the guys and gal discuss a whole range of other cool comics from hither and thither. Huge reveals are made between the gang this week though, as Dana reveals a deep secret, and confessess to being a lesbian, after reading far too deeply into a scene in the Outsiders which had no hints to lesbians at all. Also, the boys decided to appoint themselves as referees for this podcast, and start dishing out yellow and red cards, like in Soccer. I think Sheldon and Rob kept a clean sheet, but Simon gets sent off with a 4 match ban, and Dana got sent off about 6 times and has a season ban for mentioning a certain vampire film that shall not be named. Rob has a hard on for Sherlock Holmes as well, if you didn’t know already, and everyone gets pretty excited about a new event coming up in the cosmic Marvel comics. 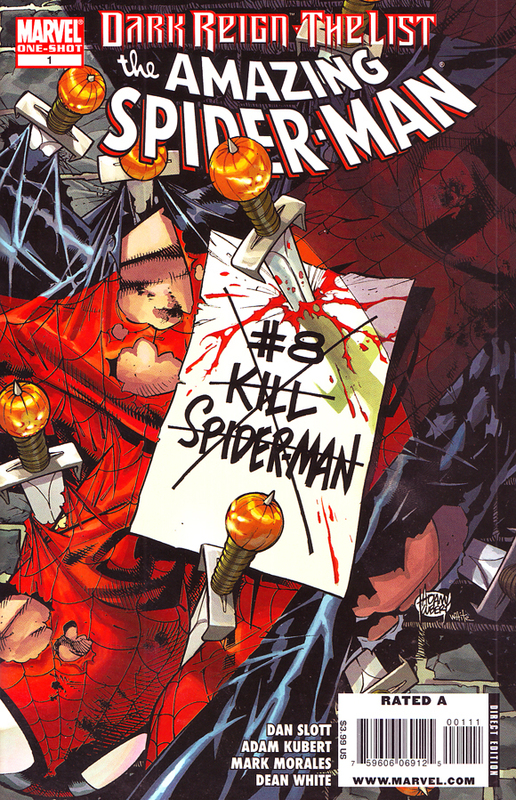 Sheldon’s POW this week is, Dark Reign: The List: Spider-Man, by Marvel Comics. The guys also talk about such comics as Dr. Horrible #1, Outsiders #24, Adventure Comics #4, Victorian Undead #1, Punisher #11, Realm of Kings (one shot), Invincible #68, Dark Avengers #11 and Flash Rebirth # 5.